Hiya guys! It's that time of the month for the Digit-al Dozen and I am... so not excited. It's not that weird once you hear the theme for this month... 'whimsy' as in whimsical. Da. Fck. That was seriously my first thought because first I didn't know that word meant in English and secondly I didn't know how to show it on my nails! Needless to say, it definitely feels like the most challenging prompt so far. But it's also probably one of the most unique, so kudos to the nail genius who thought of it (to be fair I'll want to strangle whomever did by mid-week). 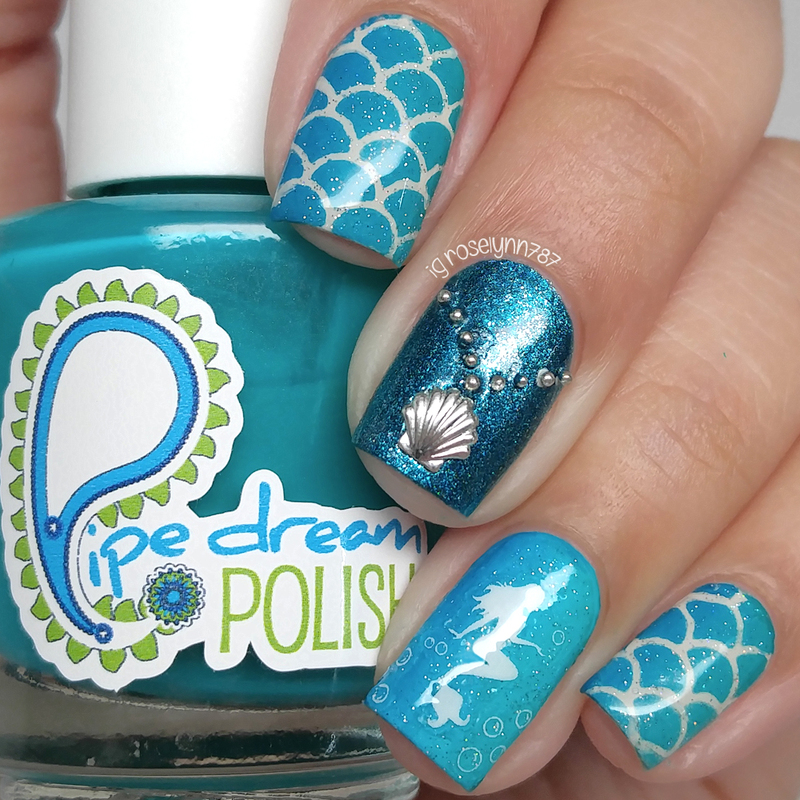 Anyhow... for day one of this whimsy prompt I decided to go with some classic mermaid inspired nails. Feeling whimsy yet guys? 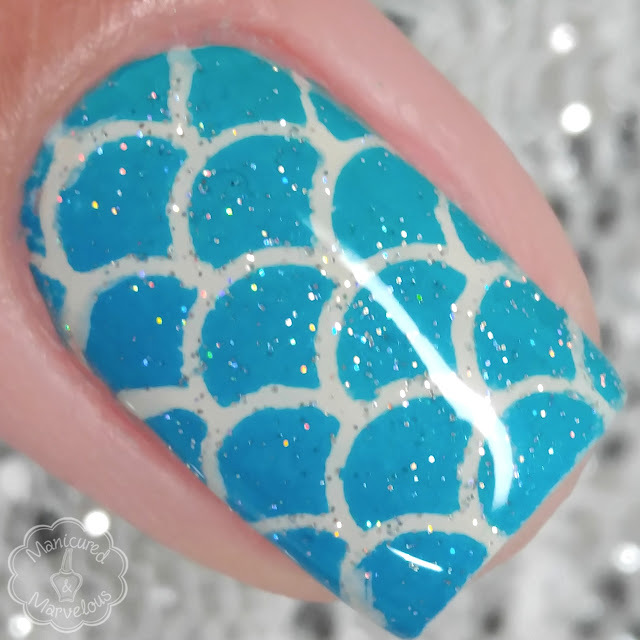 My accent nail with the charm is definitely my favorite as it pays a bit of homage to The Little Mermaid and the seashell that contains her voice. I used to have a locket just like it growing up, but ended up losing it in grade-school. I dream of the day I can have another sea-shell shaped locket (hint hint to my hubs if he's reading). I really love how this turned out, but I have a confession to make... this was not my original intended manicure. Words cannot express how upset I was at discovering my lack of mermaid charm! Seriously guys. I own over 100 charms, over a zillion things mermaid, and not one little mermaid charm. The sick thing is the whole week as I planned this manicure I was basing it off the charm. So I guess that's the lesson for the week, don't plan a mani before checking the goods! I feel like I haven't done a mermaid manicure in ages and that's because I haven't. I looked and the last one I did was almost three years ago, can you believe that?!?! But when I received these vinyls from What's Up Nails last week I knew I had to make it happen. I'm not even going to try and hide it, for the next few weeks expect a very mermaid obsessed Rose. I feel like I have opened a can of Pringles and now I just can't stop. Polishes: Pipedream Polish - All In & V.I.P. Pass, Cirque Colors - Oasis (*), China Glaze - Fairy Dust, and OPI My Vampire is Buff. I feel terrible about it, but I actually didn't have a chance to create a video tutorial to go along with this mani. Not to worry though, I do intend to recreate this look later on during the week and that will definitely be a recorded tutorial. As always, don't forget to check out the other ladies of the Digit-al Dozen today (and this whole week) as we scramble to come up with nail art for this challenging prompt, haha. These are super whimsy! Love them! This is fab and so cohesive. 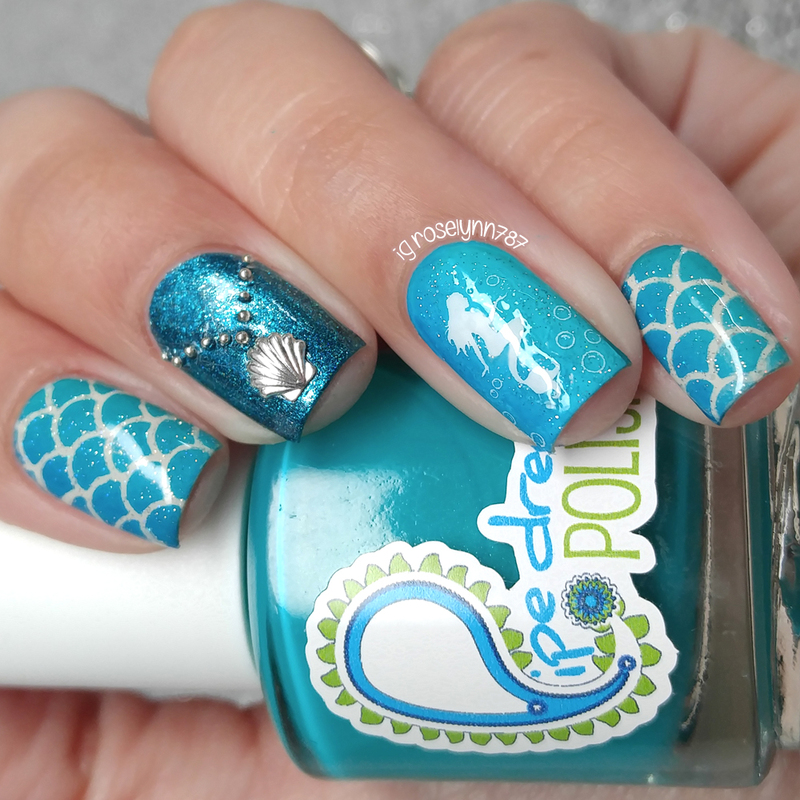 I love the mermaid nail vinyls. I have very few charms. I need to get more. 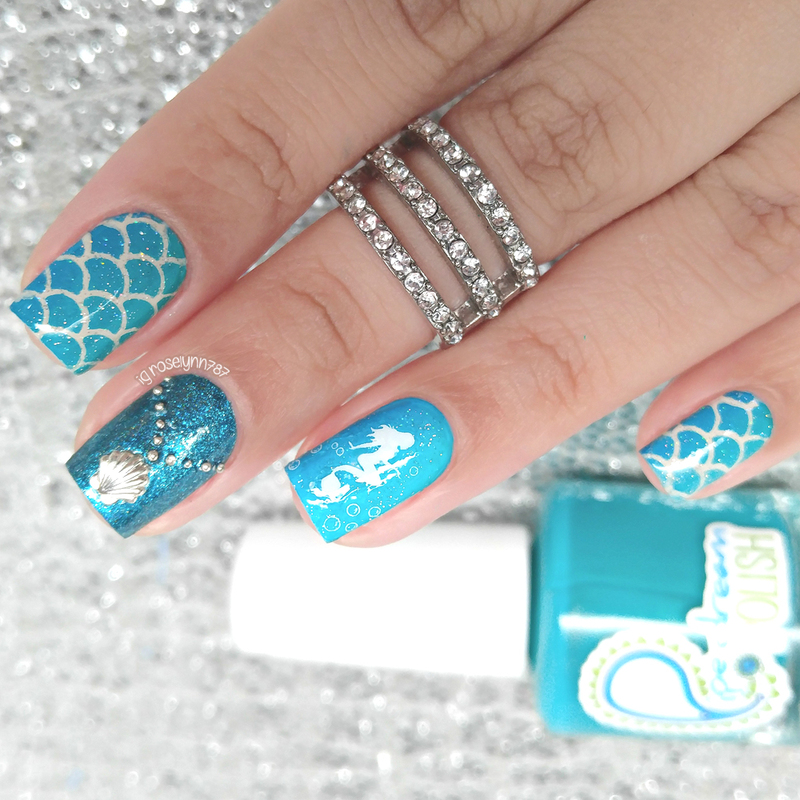 I love EVERYTHING about this mani!!!!! Wow, these are beautiful!! I love the little added sparkles! These are absolutely gorgeous!! Omg! !